Vanderbilt’s hiring of Jerry Stackhouse as the men’s basketball head coach on Friday afternoon elicited plenty of reactions on Twitter from former Vanderbilt student-athletes to sports media figures to basketball legends. Here’s what the sports world had to say about Stackhouse. “Jerry was one of our great players at Carolina and was an outstanding player in the NBA for a long time. He has paid his dues to prepare for this job – coaching in the G-League and sponsoring and coaching teams at the high school level." 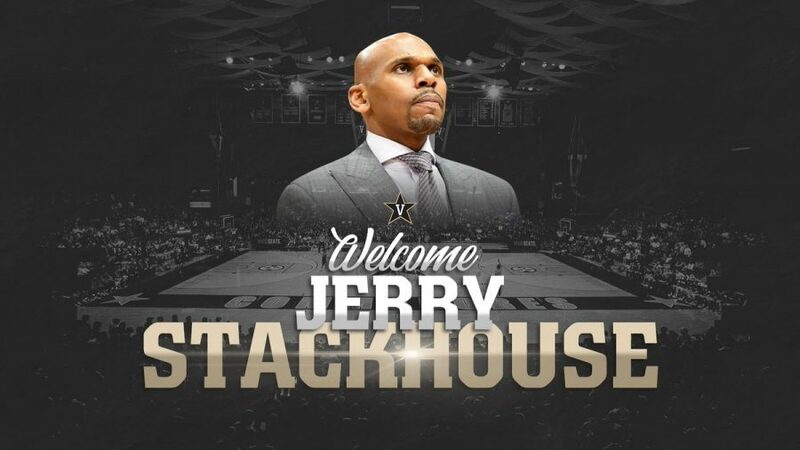 Good for my school, Vanderbilt, hiring Jerry Stackhouse. I've been around him. Impressive presence. Winning personality. Name cache. He'll be able to recruit despite by far the toughest academic admission requirements in the SEC. My guy stack….congrats RT @wojespn: Memphis Grizzlies assistant Jerry Stackhouse has agreed to a six-year contract to become Vanderbilt’s head coach, sources tell ESPN.